KUALA LUMPUR: The new contract for athletes by the National Sports Council (NSC) came as a shock to many and those unhappy have resigned from their national teams. 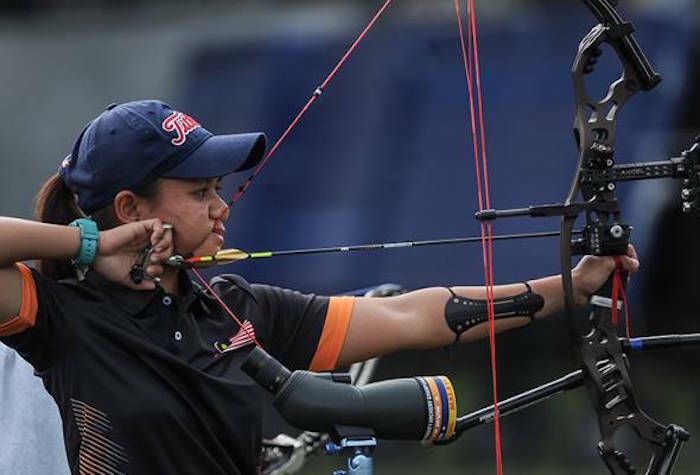 National archer Fatin Nurfatehah Mat Salleh said: “I beg (you), appreciate us as athletes. Appreciate what we have done. “Please take into consideration what we have contributed to the country. We did it all for the sake of the country,” she said. Archers Mohd Juwaidi Mazuki, Zulfahli Ruslan and Lee Kin Lip tendered their resignation as national athletes recently as they were unhappy with the decision to cut their allowances. Fatin claimed that allowances for athletes have been reduced from RM3,000 to RM500. “For part-time athletes, they now receive RM500 from RM2,000 previously. “We all compete for the country. We train like full-time athletes but our status is such because we do not reside at the National Sport Council’s (NSC) hostel. “For me, (because I) study at USM (University Science Malaysia), I was offered the part-time status. It’s not possible to be a student and follow a full schedule set by the NSC. Despite the resignation of her peers, Fatin still wants to be a national athlete.